About Us | DMS Properties Inc.
Our primary objective at DMS Properties, Inc is to maintain the highest level of customer satisfaction that is achievable. Our company is dedicated not only to improved housing, but to the community and environment, as well. We want our tenants and merchants to enjoy all of the benefits of a safe, attractive, and inviting neighborhood. Tenant safety, happiness, and comfort are our main goals. 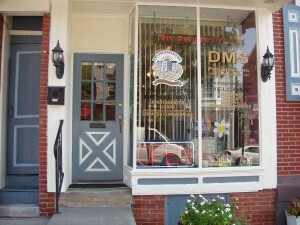 DMS is not only the leader in rental units in the Norristown, Pennsylvania area, but it also maintains competitive market prices. One of DMS Properties’ long term goals is to be the leader in the revitalization efforts of historic West Marshall Street. We have remodeled dozens of buildings and have attracted new businesses including an art studio and a mini-mall marketplace. We also sponsor and host community events including the annual Harvest Festival. Come visit West Marshall Street, and see what all the talk is about!